Performance, replacement pistons to suit Toyota 1VD-FTV engines. These pistons have anodised and ceramic coated crowns, Teflon/Moly coated skirts. They are oil gallery cooled and have alfin inserts in the top ring groove. Top ring 2.0 mm, 2nd ring 1.5 mm, Oil ring 2.0 mm, Gudgeon pin diameter: 29.00 mm. 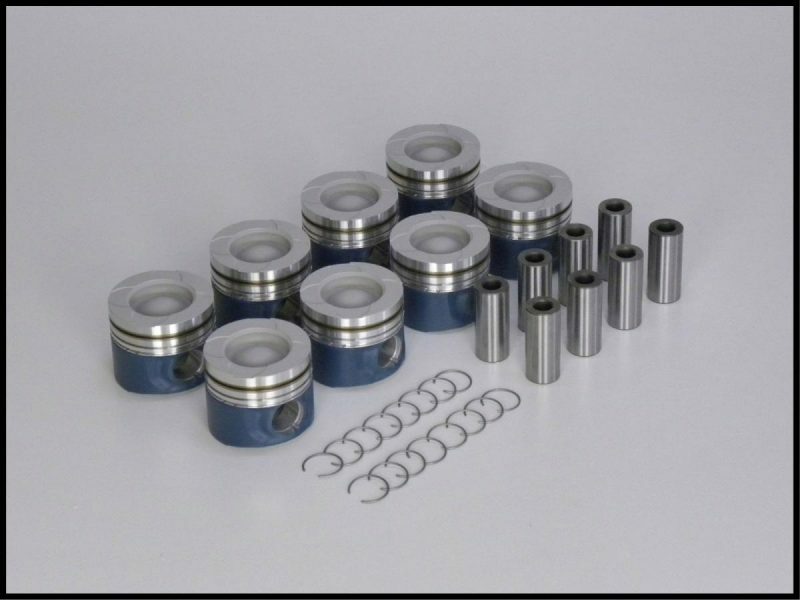 Sold as an engine set of 8 pistons (4 LH and 4 RH) and includes pins and circlips. Piston ring set required, RSTO900, available in STD, .50 and 1.00.